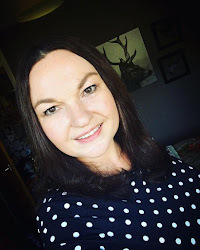 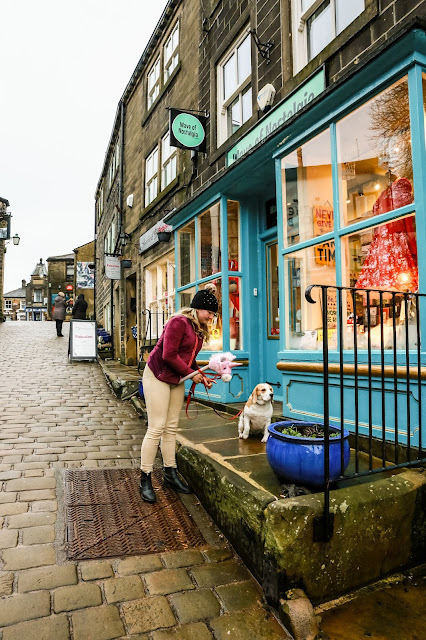 Sometimes you just need a day out with your dog to make the world a better place and Howarth in West Yorkshire is one of the most dog friendly villages I've ever visited with Holly Bobbins. 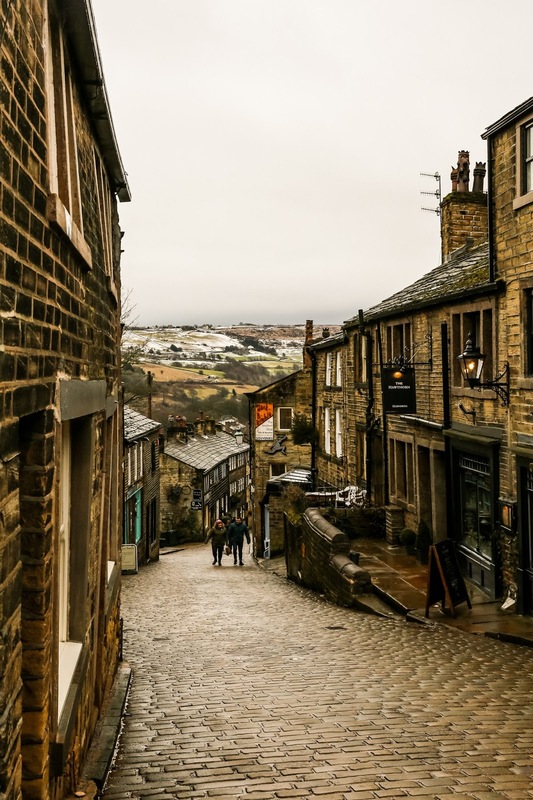 Haworth has long been connected to the Bronte sisters, they wrote many of their books at what is now the Bronte parsonage museum and pretty much every area of Bronte country is smattered with the heritage of this famous family, you can even travel the 43 miles of the Bronte Way should you feel like putting your walking boots on, perhaps that's why it's such a dog friendly place, you often find that places which welcome walkers have also cottoned on to the fact that many walkers have dogs with them and we live in a country where the weather isn't always kind. When you want to enjoy a place with your dog you don't always want to sit outdoors. 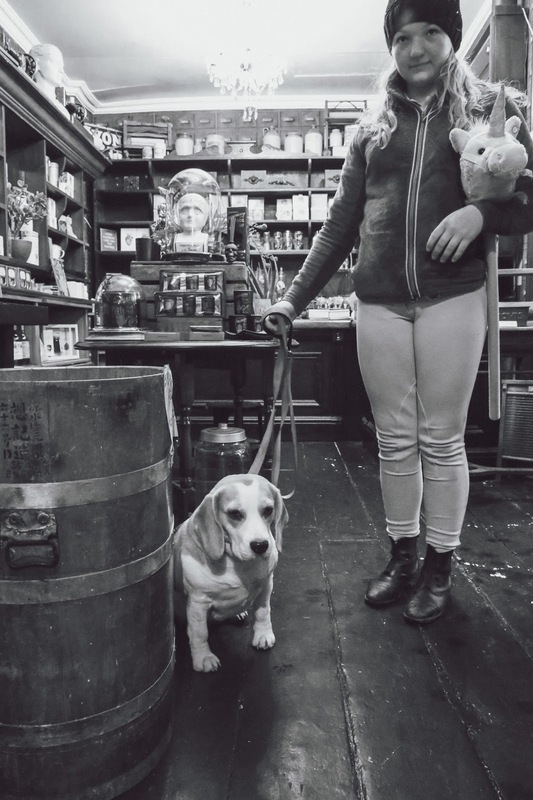 I think it might be one of the most dog friendly places I've ever visited with Holly Bobbins, there were less shops, tea rooms and pubs which didn't welcome dogs than those with signs saying that our four pawed friends were most welcome. There's nothing that I enjoy more than an afternoon ambling around pretty little gift shops so if I can do it with my furry best friend then I'm declaring it to be the best village I've ever been to. 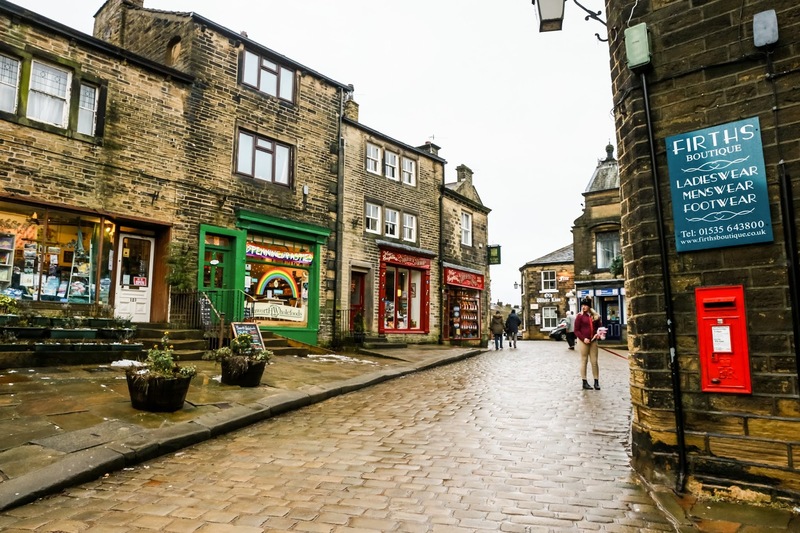 It's not just the dog friendly aspect that makes Haworth so very special though, it's in the pennines and quite high up, actually, the village is on a steep hill but it's all pedestrianised so you and your dog are safe at all times, it's also completely cobbled and very much like the set of a movie. 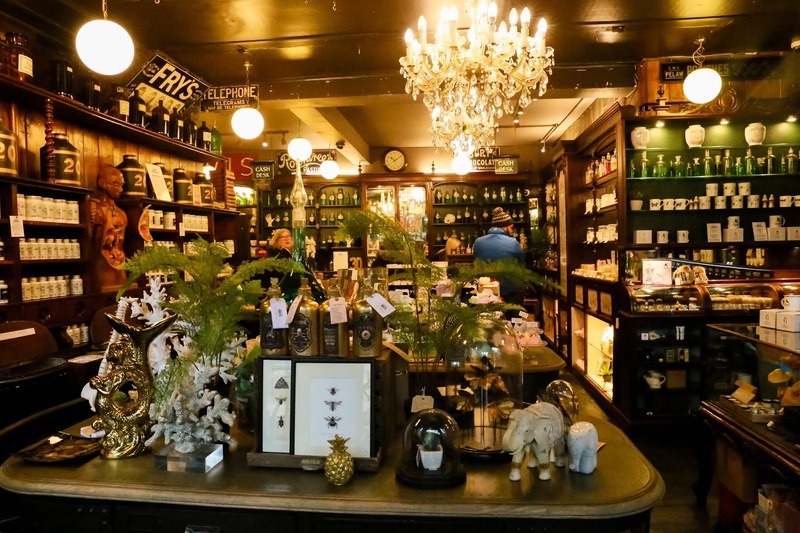 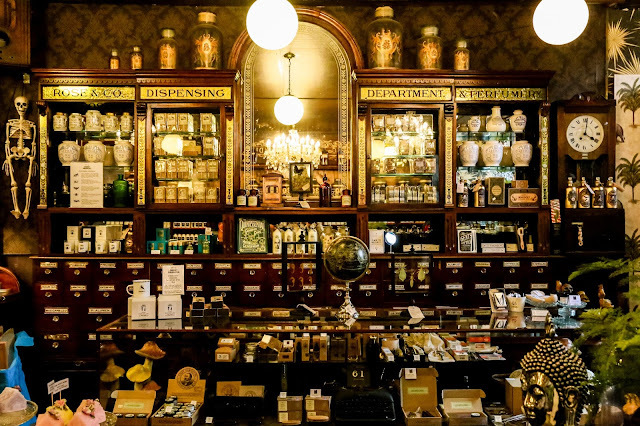 Parts of it reminded me of Beamish like the shop above which is set out like an apothecary and sells all kinds of magical wonders including loose bath salts in many varieties, Holly and I loved our wander inside, it was part Beamish, part Harry Potter, I like a place which feels full of magic. After a dilly and a dally around the enchanted store we wandered the village and even though it was freezing cold with snow still lying in many areas we had a lovely time exploring this picturesque village which looks like it's a movie set from the 1940's. 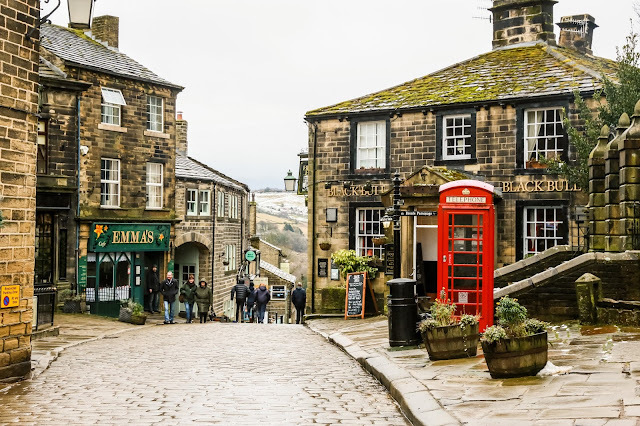 If it does look familiar it could be that you've seen it when it was used as a set in many movies but most famously, The Railway Children was shot there. 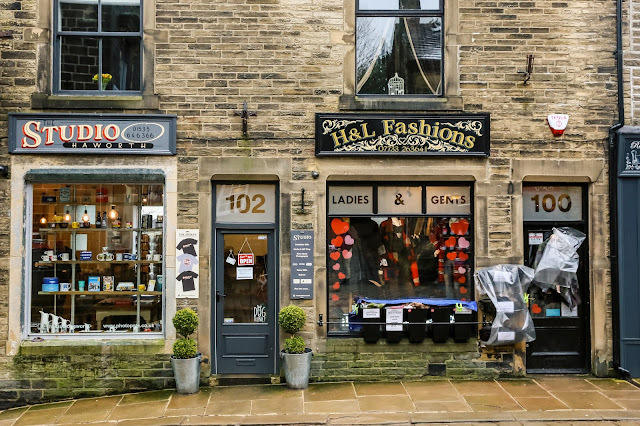 I'm determined to make it back to Howarth in the summer months when no doubt it's a completely different village bustling with tourists and with steam trains regularly running all year around you can bet it's a hugely busy tourist destination. 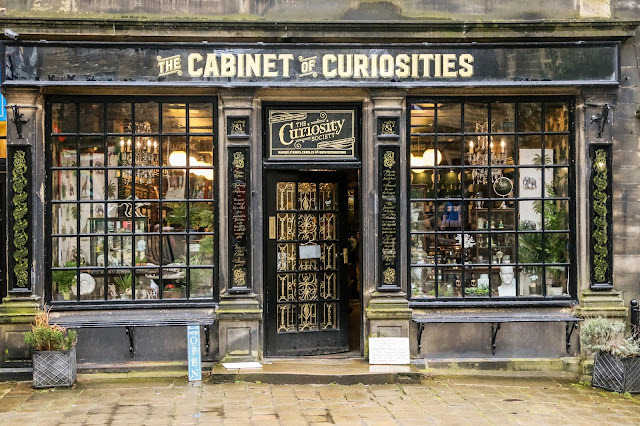 Haworth for me, has everything, it's dog friendly, it's gloriously pretty and it's full to the brim with history so if you've never visited, get in the car and get there before the peak season.